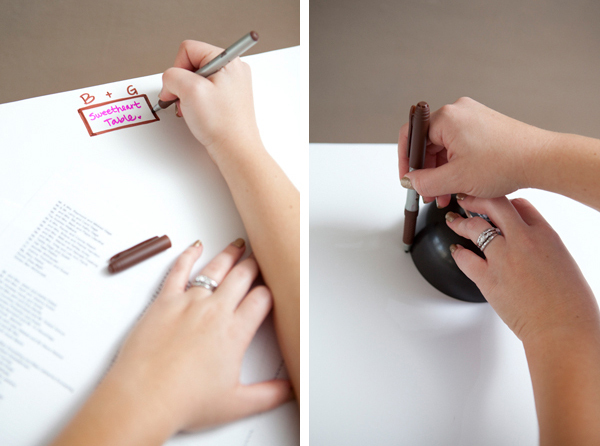 Learn how to make the easiest wedding seating chart ever! 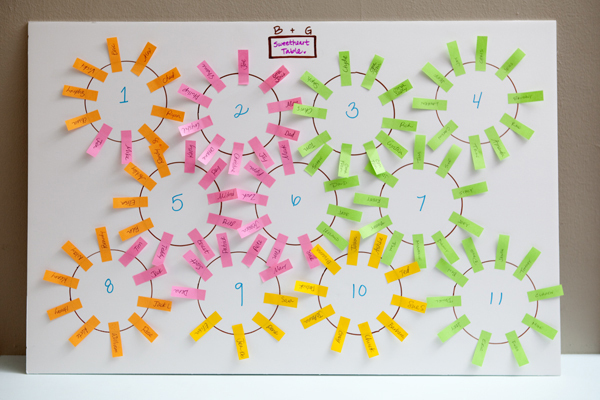 Tackling your wedding seating chart is no small task – but this tutorial will make it easier! 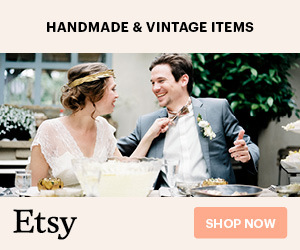 All you need is a few items, some of which you might have laying around the house. 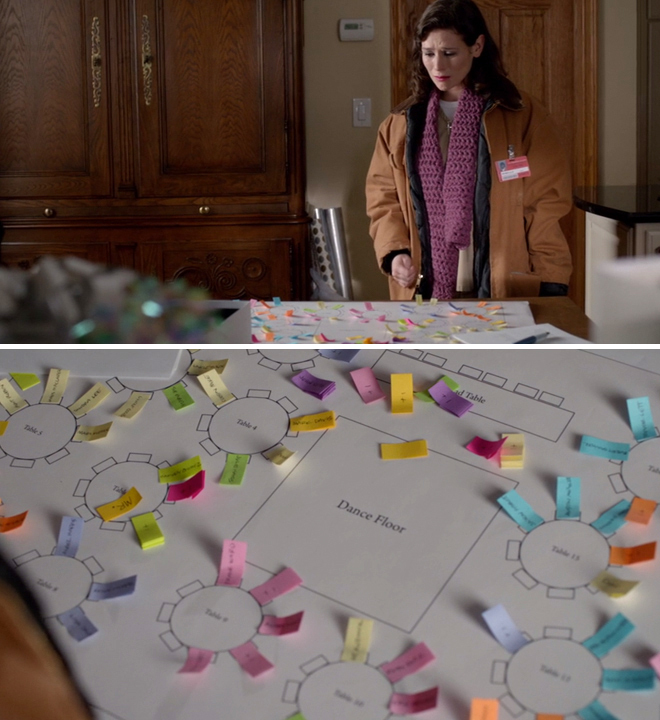 The beauty in this idea is that the Post-it notes are actually “re-positionable” so you can pick them up and replace them onto the poster board as many times as you need to. 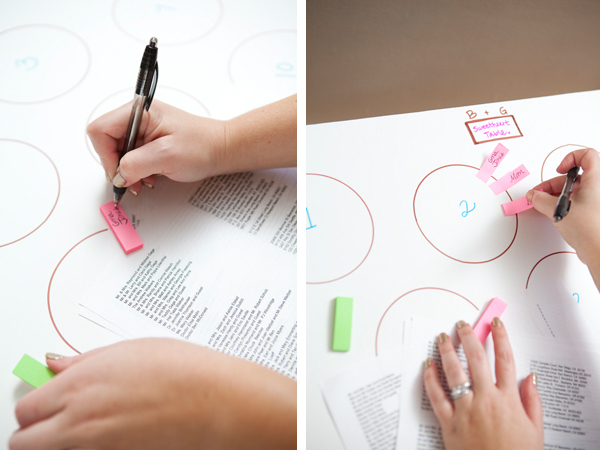 I vividly remember starting to create my seating chart for my own wedding and completely going through the eraser on the top of my pencil from so many changes, not to mention forgetting who I erased! I noticed that my mom had some post-its laying around and a light bulb went off – make a post-it for each guest! 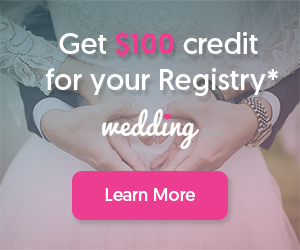 I personally color-coded my guests by food choice (since I had to turn the count in by table), and not only was it a huge time saver but it turned out to be the easiest way to keep my guests organized – so I knew I just had to share it with you! Start by drawing your table arrangement for your reception onto the glossy side of a poster board; using multiple boards if needed. 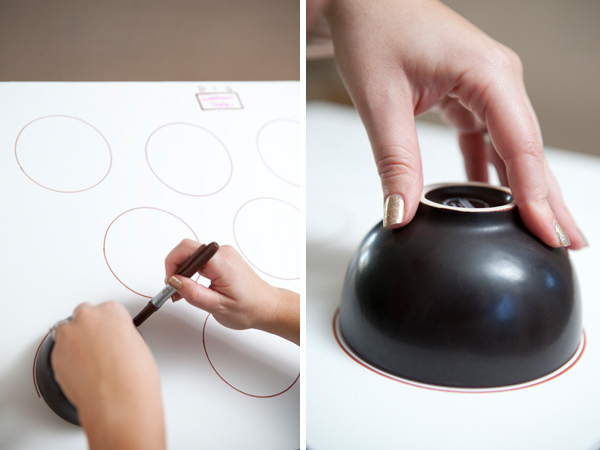 I used a bowl to trace my round tables, but you might have rectangle tables… in that case you can use the bottom of a cereal box. 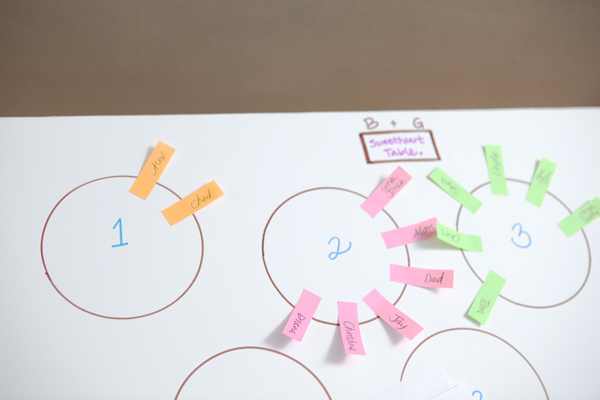 Label all your tables by number… or how ever you will be categorizing them. 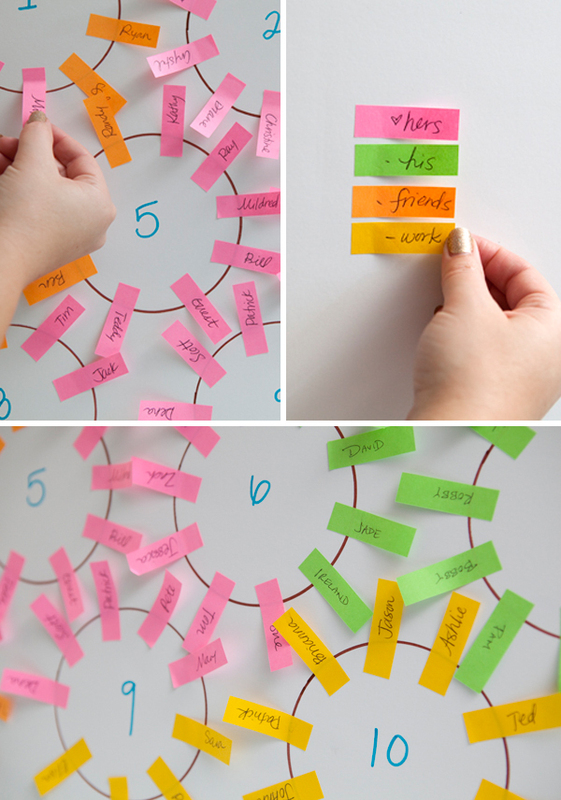 You can use the different Post-It colors to help categorize your guests by: your family, his family, your friends and work people. You can also use the colors to categorize what meal choice that guest has chosen; making it very easy to tell your caterer how many of each meal will be at each table. 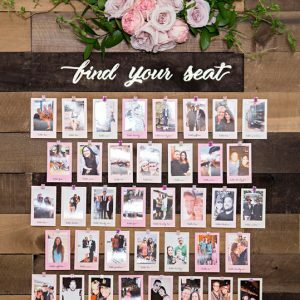 This is the fastest and easiest way I have found to make a wedding reception (or other large party) seating chart… it’s also easier if your Groom helps you too! 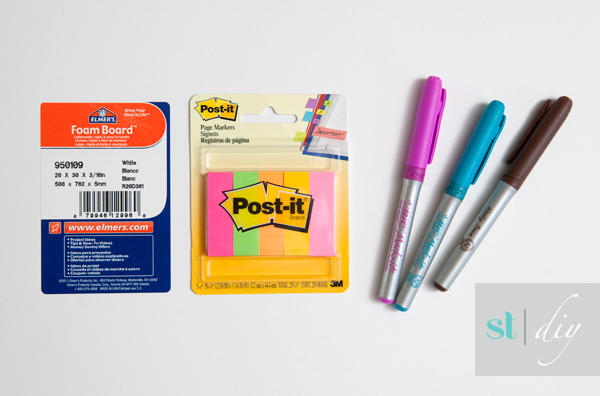 Before you know it, all your tags will be on your board and you will be done! 1/28/2015 Press Mention: I just had to share that this idea was featured in an episode of Orange Is The New Black! The one where Morello breaks into Christopher’s house, only to find that he is engaged and planning a wedding – but not to her! We did this at our wedding but did it a little different. 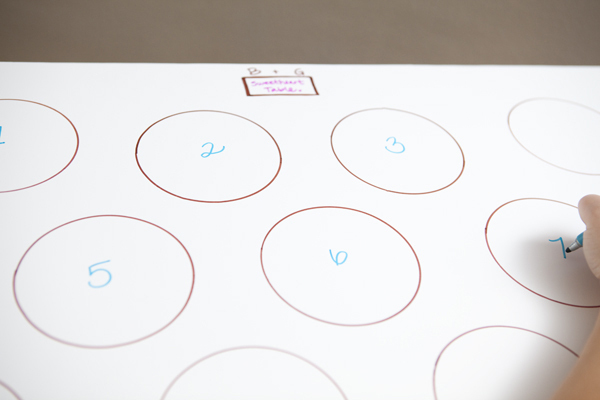 We cut out circles and used a loop of tape to put them on the floor plan so we were able to move them around if needed. Then instead of labeling each person as his hers friends and work we put everyones names on the post it tabs as they rsvp'd and we had to know what meal selections were for each person so we had pink for filet, yellow for chicken and blue for fish an had the name cards with the corresponding colors for the servers to know who was having what. 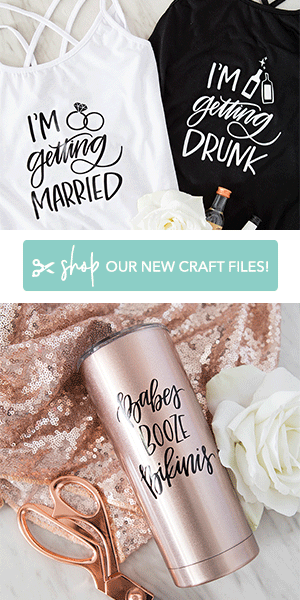 This was probably one of the best ideas we used for our wedding!